Prescribing Scenarios at a Glance is an innovative resource which allows medical students and junior doctors to practise prescribing skills safely for themselves. 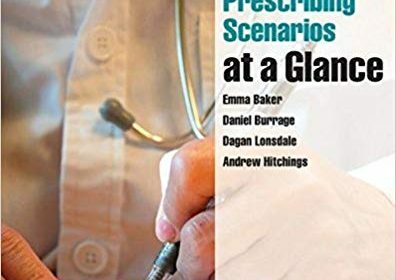 Supporting those who wish to develop their prescribing knowledge and clinical reasoning, this book features 50 acute and on call scenarios in a hospital setting. Users will be able to practise skills such as initiating a prescription, planning management, reviewing therapy, and identifying adverse drug reactions and interactions. An ideal companion for medical students, foundation doctors and non-medical prescribers as they develop their prescribing skills, this book will help to instil confidence, reduce errors, and encourage best practice. It will also be a valuable resource for candidates preparing for prescribing exams.